Giallo Ornamental Granite is quarried in southern Brazil. 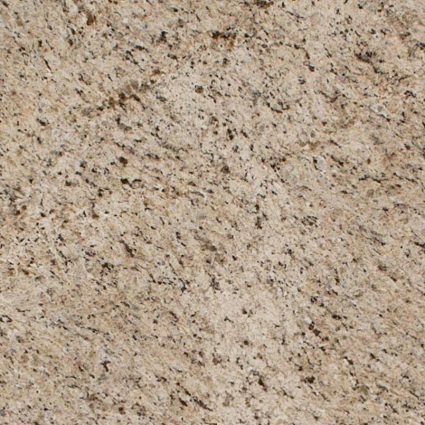 It is a veined Granite with a creamy white background with dark gray and brown veins flecks of brown, tan, black and ivory. From a distance, you will not see any significant veins, and it will maintain its characteristic creamy color. 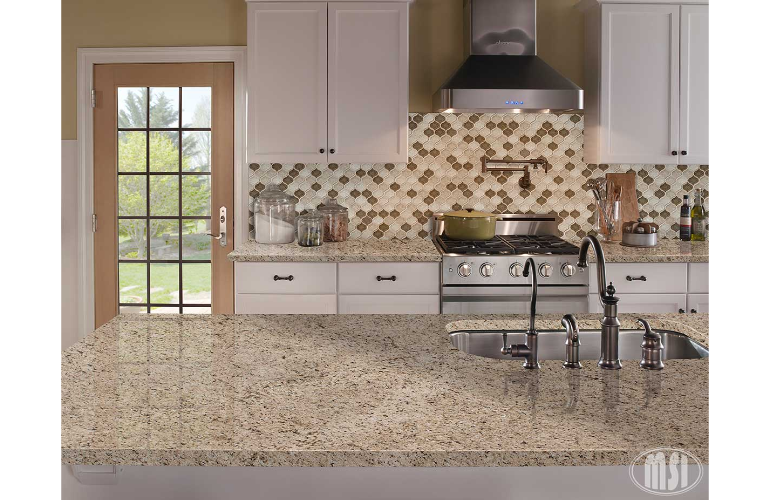 Industry names include Giallo Santo Granite, Granito Amarelo Ornamental, Golden Ornamental Granite, Giallo Ornamentical, Ornamental Yellow Granite, and Yellow Ornamental Granite. 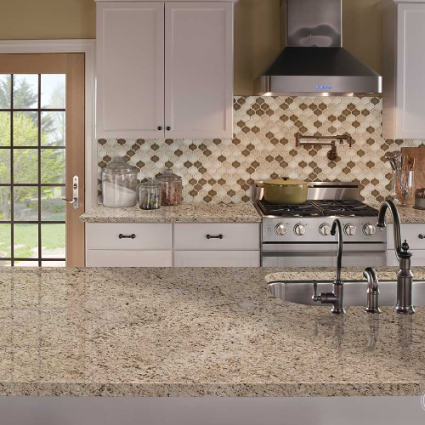 This Granite is great for both commercial and residential applications including walls, countertops, vanity tops, bar tops, and stairs.